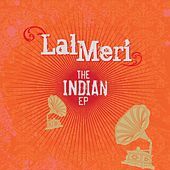 Lal Meri hammered out its 2009 debut the old-fashioned way: Three musicians brought their disparate talents to the table to see what would come of -- get this -- their chemistry. Sure, it sounds dated in this producer-driven era, but it worked. The seed began to sprout with multi-instrumentalist and composer Ireesh Lal, who had recorded his Indian cousin Pooja singing and returned to the States to add some trip-hop beats to her vocals. American singer Nancy Kaye, who had recorded a 2002 pop debut for Def Jam under the name Rosey and seen the release go nowhere, heard Lal's songs on his MySpace page and grew intrigued. 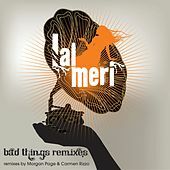 After Kaye and Lal had worked on a few songs together, Kaye played the tracks for writer, producer and remixer Carmen Rizzo (Seal, Coldplay, Paul Oakenfold), who immediately joined the ranks and made the duo into a trio. Together, they forged a sound that has many precedents -- global-inflected trip-hop -- but which rarely combines its elements so effectively: The group's organic use of international instrumentation, combined with Kaye's jazzy, subtle vocals, make the sound stand out. In 2009, they released their self-titled debut on Six Degrees Records.